This beautiful map was made in Amsterdam by J. Hondius, an accomplished Dutch cartographer. It dates from about 1630 and measures 49 x 37 cms. 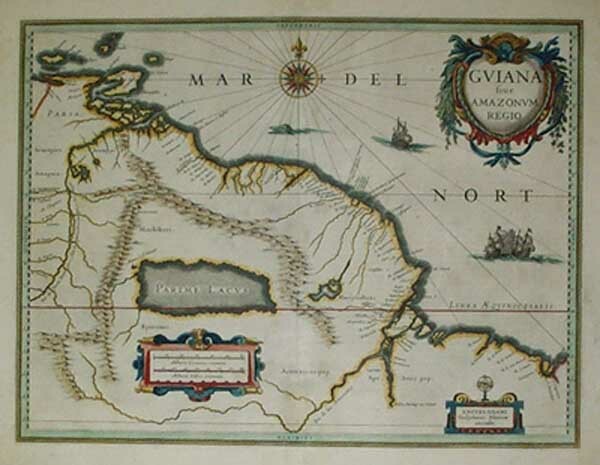 The map shows the mouth of the Amazon and the coastline of present day northeastern Brazil and the Guyanas. At the time a fictional lake, Lake Parime, had entered popular consciousness so was also depicted in the map.